I always try to drink plenty of water, especially during the summer. Lately I have been getting bored with it, and have been trying things to spruce it up. Although I really like Crystal Light, I also love flavoring my water naturally. Making ice cubes is a great way to make flavorful water in small batches. Here is one of my favorite flavor combinations! 1. Cut the kiwis in half, and scoop out the fruit. Cut halves into four slices and place into ice cube tray. 2. 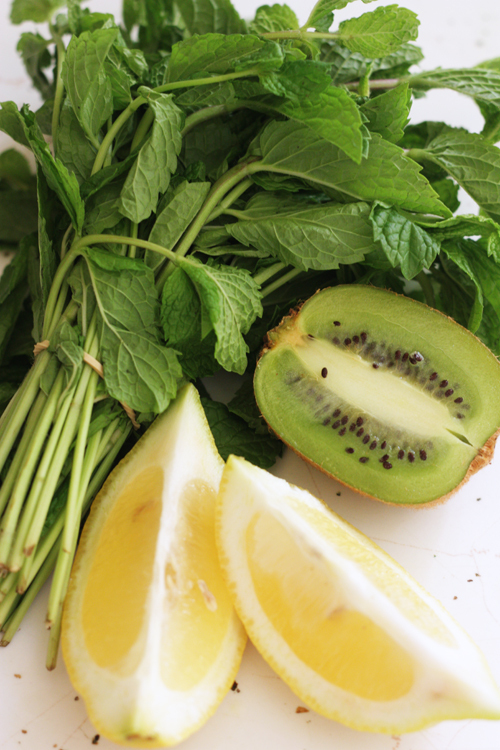 Tear mint leaves into smaller pieces and place on top of kiwi. 3. 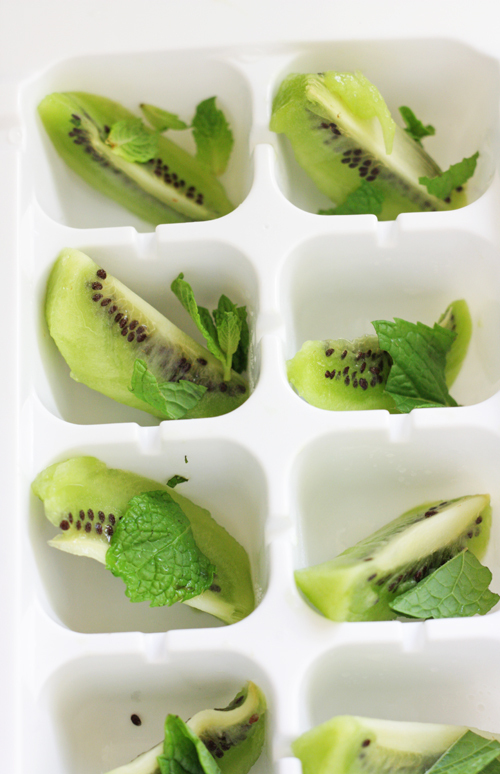 Drizzle mint and kiwi with lemon juice. 4. Gently pour in water. 5. Using a fork, press kiwis in order to get some juice out. 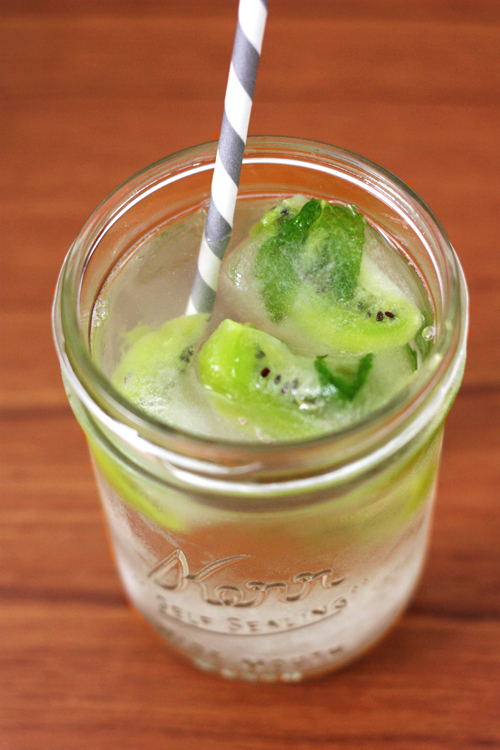 This will help give your water a kiwi flavor! 6. Place in freezer overnight. That looks so perfect and refreshing!